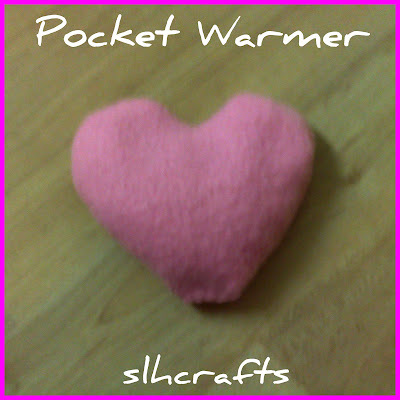 The photograph above is of a pocket warmer I actually made. I made this from pink fleece. I cut out 2 heart shaped pieces and then hand sewed them together, leaving a small gap. I filled this with rice and then closed the gap. These are put into the microwave just before leaving the house. It is best to make 2 of these, I put these in my coat pockets in the morning. When I am on my way to school on a cold morning I can warm my hands up in my pockets. These are really so easy to make.